Here’s what you need to know about their latest Target collection. As we creep closer and closer to the series finale of Fixer Upper on April 3 (we’re still not ready), we’re looking for ways to fill the Chip and Jo-shaped hole in our hearts. Luckily, there has been no shortage of projects from the design duo to keep us occupied. 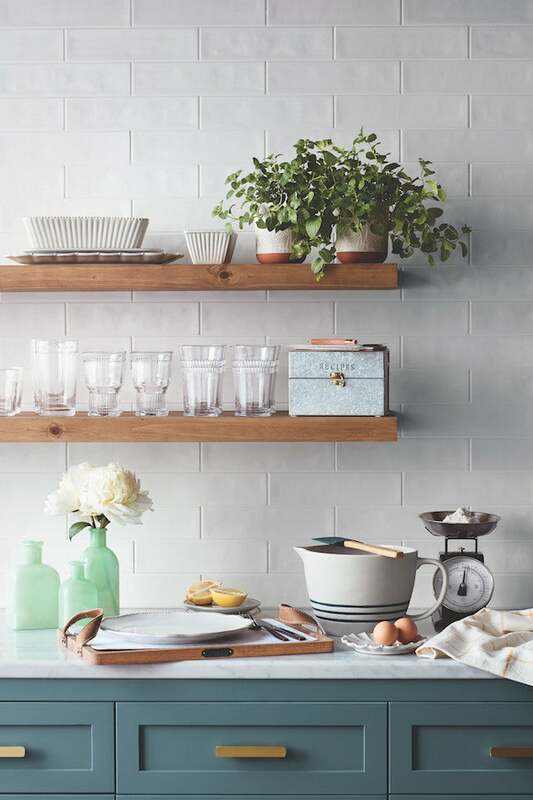 From an upcoming cookbook to a just-opened restaurant in Waco, the two have definitely been busy… and the latest proof is their newest spring collection at Target. The Hearth & Hand with Magnolia spring line is set to launch Sunday, April 1—just two days before the finale. Because if you’re going to mourn the loss of one of your favorite hgtv shows you might as well do it surrounded by trendy tableware and pretty potted plants… and the promise of a newly-renovated space. With over 150 pieces in the collection, Mother’s Day shoppers definitely have enough to comb through. Choose from vintage-looking stoneware kitchen essentials, galvanized metal gardening tools, and even a breakfast in bed kit, which retails for $12 and includes a serving tray and DIY placemats. However, as excited as we are about the prospect of seasonally appropriate kitchenware, the most noteworthy part of the upcoming collection is the shift from strictly decor to more renovation-friendly offerings. The spring launch will include not only hardware, like cast metal knobs and forged nail hooks, but also a selection of wallpaper. Target will now also offer a collection of paint products joanna gaines curated in partnership with KILZ. That’s right: Target will be offering paint picked out by the First Couple of HGTV itself, both in stores and online… which means that the retailer is one step closer to being a one stop shop for all things Magnolia Home. Take some inspiration from Chip and Jo, who are fans of painting an entire room a neutral hue and elevating it through the use of texture or incorporating timeless decor pieces. Consider this your cue to take your spring makeover beyond just new throw pillows, and try your hand at an at-home Fixer Upper renovation. The newest Hearth & Hand with Magnolia line officially launches in stores and online this Sunday, and will be available for months to come. And if you’re thinking, “Didn’t they already release a spring Target collection?” the answer is yes—but as the old proverb goes, you can never have too many reasons to shop at Target.